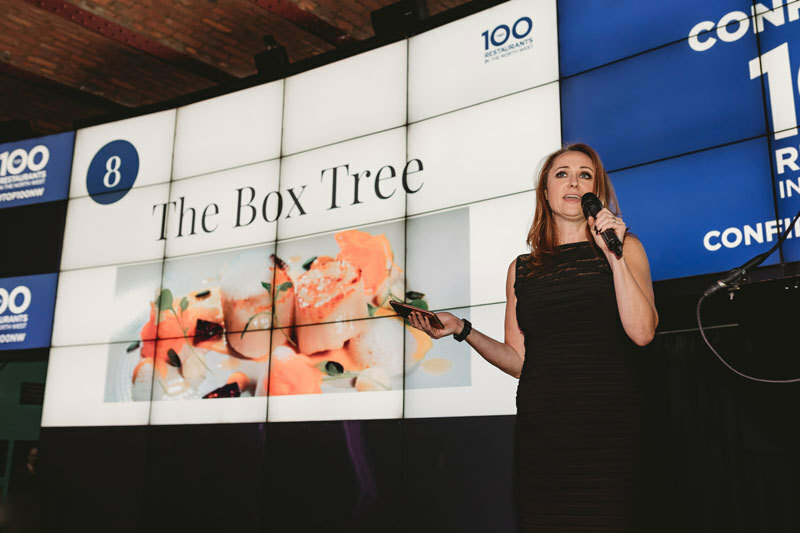 We recently launched an online guide to the Top 100 Restaurants in the North West. And we’ve been taken-aback by the response. From chefs and restaurant teams – who feel like their hard work has been recognised after years of being ignored by London-centric food publishers. From our fellow foodies – who are tired of buying the big-name food guides, only to find that none of their favourite restaurants are featured, and 70% are in the South. From people who just want to know where’s good to eat near them this weekend. In other words, people in the North, like you, who know good food, but are disregarded by the big publishers (the food guides, the weekend supplements, the London-based critics). These are the people we’re asking to join with us in crowd-funding a restaurant guide focused solely on the amazing food and drink scene of the North of England. We’ve just spent a year researching and writing the guide and publishing it online This crowdfunding campaign will allow us to expand the guide to cover the whole of the North and publish it as a book. Why do we want it in print? Because we want it out there in the world — a book you can pick up and read like the Good Food Guide or the Michelin Guide — so that everyone can see what a great food scene we’ve got up here. We want to put the North on the map for food. We’ve got first-rate produce, visionary chefs, and informed restaurant-goers. The one thing missing is recognition. Our food and drink scene is being by-passed and patronised. With your help, we can fix that. 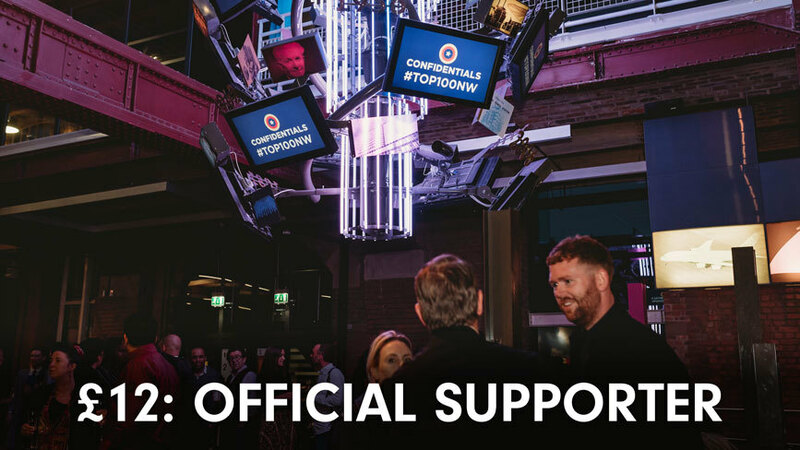 You’re officially a supporter of the Top 100 Restaurants in the North and everything it stands for. We'll add you to our special VIP mailing list and keep you in the loop about progress, right up to publication. Thank you — we can’t do this without you. 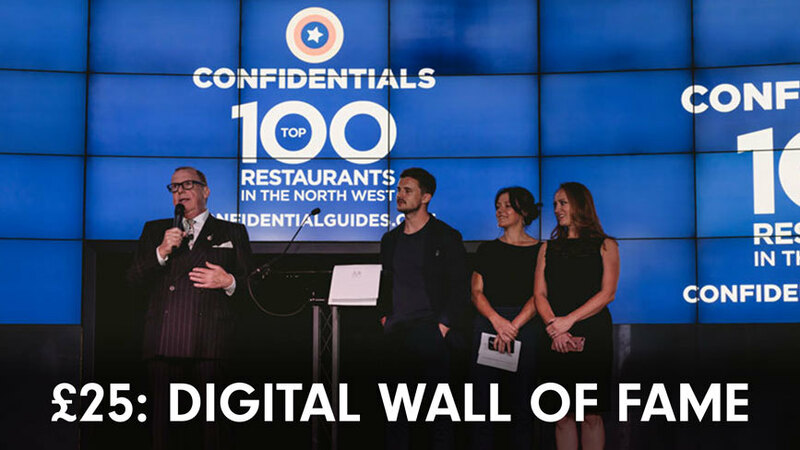 Your name as an official supporter of the Top 100 Restaurants in the North guidebook on our version of the Hollywood 'walk of fame': the digital wall of fame on the Top 100 website — it’s a public acknowledgement of the role you've played in making it happen. 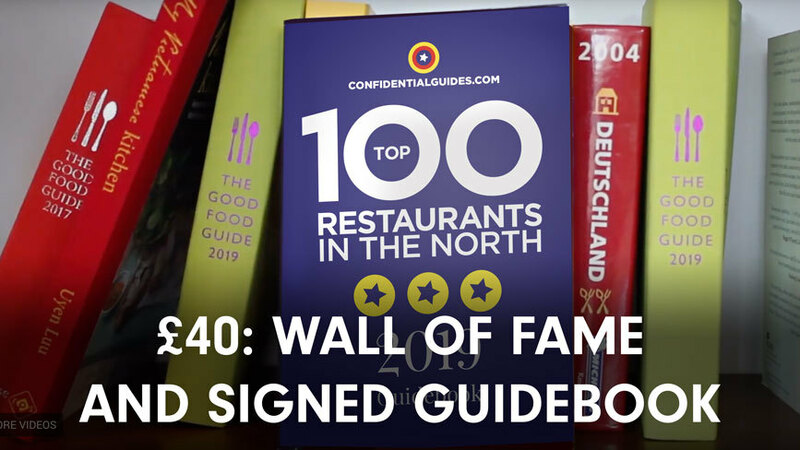 Your name as an official supporter on our digital wall of fame — and your own copy of the Top 100 Restaurants in the North guidebook, signed by Gordo himself. Because it wouldn’t exist without you.